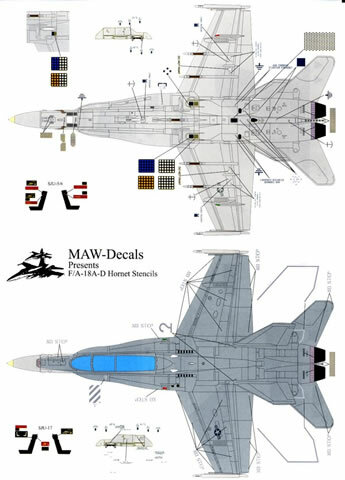 This sheet represents a return for Creighton Henthorn’s MAW Decals to his trademark F/A-18 Hornets. 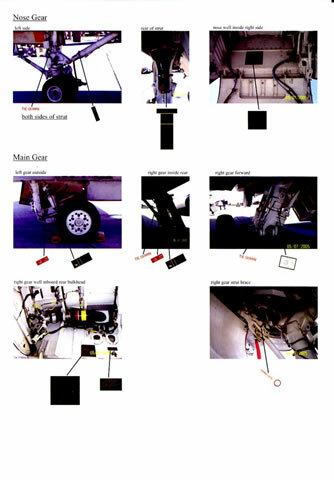 There is an obvious need for sheets such as these as schemes and details change on jets in service. 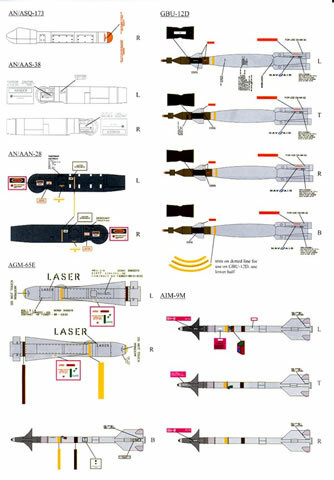 This sheet provides markings for one set of lo-viz grey stencils for a USMC C or D model Hornet, designed to be used with the Hasegawa 1/48 kit, but probably suitable for others. 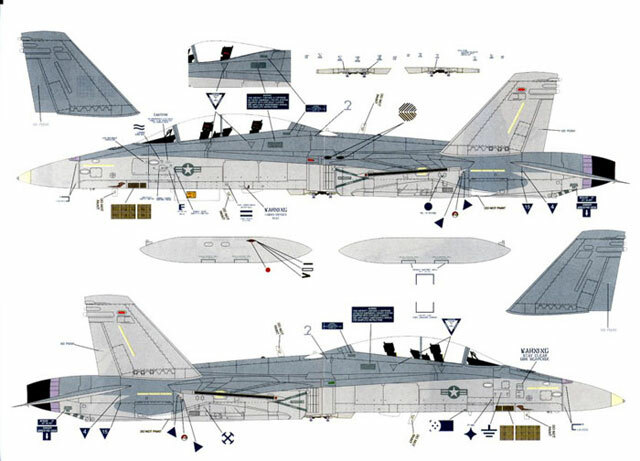 The sheet is nothing if not comprehensive, with stenciling note only for the airframe but also the ejection seat and an array of current ordnance including Lightning pods, GBU-12s, Mavericks and AIM-9M Sidewinders. Nice touches include decals for the new style gun gas vents and also for the ALE-39/47 chaff flare dispensers. By including silver, blue and yellow underlay’s for the latter any combination of chaff and flare loads can be depicted. MAW’s sheets are very well printed, being very thin and have minimal carrier film. The complex designs themselves are in perfect register. The decals are easy to use and respond well to the usual solutions without damage. Being thin they conform well to details over which they are laid. 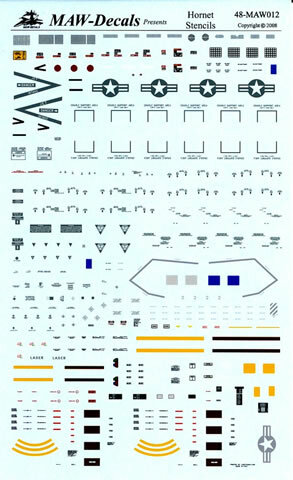 With clear and concise instructions, spread out over 2 A4 and 2 A5 pages (including reference photographs), there is little more that a modeler could wish for from these decals.